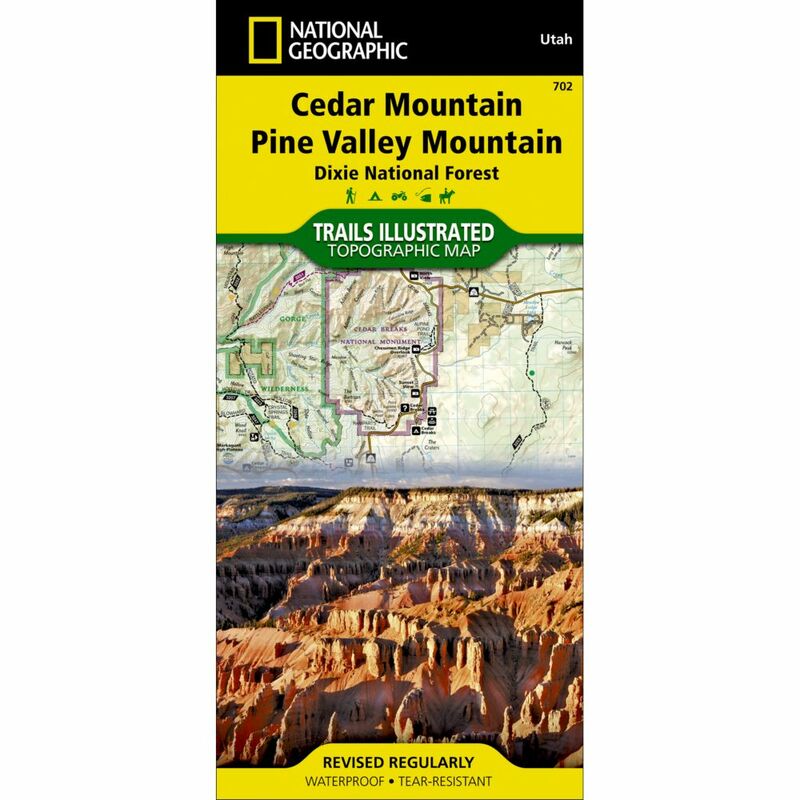 This National Geographic -Trails Illustrated™ topographic map is the most comprehensive and complete recreational map for Utah's Cedar Mountain/Pine Valley Mountain area. The map shows all trails, campsites, and recreational features, plus valuable wilderness and Leave No Trace guidelines. Coverage includes Dixie National Forest, Ashdown Gorge Wilderness, Cedar Breaks National Monument, Brian Head, Navajo Lake, Haycock Mountain, Panguitch Lake, Long Valley Junction and Duck Creek.